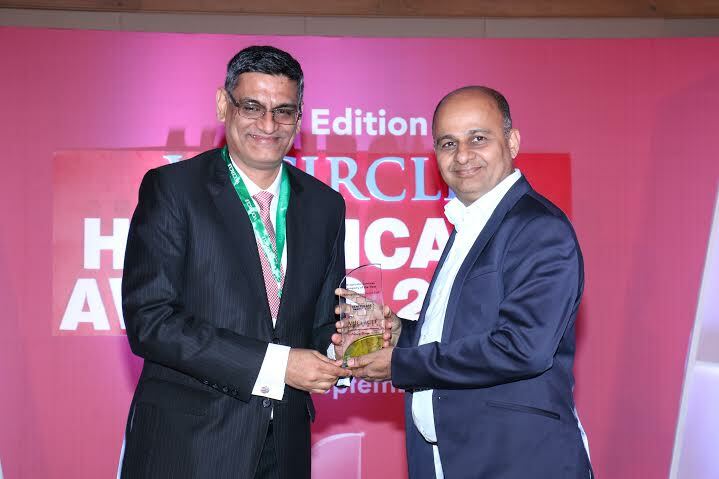 Mumbai, Sep 30: Metropolis Healthcare Ltd, India’s only multinational chain of pathology centers has won the VCCircle Healthcare Awards for The Best Diagnostic Services Company of the Year Award for 2015. In its 7th edition now, the VCCircle Healthcare Awards evaluates companies on their outstanding performance and by rewarding outstanding healthcare providers who have not just made real differences in the patient’s life but have also created a culture of innovations & excellence across the Indian healthcare industry. Metropolis is one of the very few NABL and CAP accredited diagnostic chains, equipped with cutting edge technology, innovative work equipment, expansive logistics network and rigorous processes. Metropolis ensures and delivers precision and accuracy in every single test; each time, every time. The Awards selection criteria involved an esteemed panel of judges and followed a rigorous methodology in short listing and thereafter selecting the organizations that are transforming the Indian healthcare industry. With 34 years of experience in delivering accurate reports, Metropolis has earned the reputation of being India's only multinational chain of diagnostic centers with presence in UAE, Sri Lanka, Dubai, South Africa, Kenya, Mauritius & Ghana. Metropolis Healthcare - the Pathology Specialists deliver over 30 million tests a year, catering to more than 20,000 Laboratories, Hospitals, Nursing homes and 2,00,000 doctors. Metropolis Laboratories offers in excess of 4,500 tests and test combinations, ranging from routine screening tests to super specialized molecular and genetic assays. Metropolis has always been in the forefront in employing latest technology and automations, adopting stringent internal and external quality control mechanisms and making planned investments in research and development.